Membership in the Professional Wedding Guild gives you discounted pricing on luncheons, as well as access to our member-only cocktail parties throughout the year. All members of the Professional Wedding Guild of Fort Worth will receive a listing on the guild’s website with hotlinks and one photo. We also have other member benefits such as discounts to bridal shows by Bridal Shows, Inc. All fees paid to The Professional Wedding Guild of Fort Worth, whether for dues or luncheons, are non-refundable once paid. 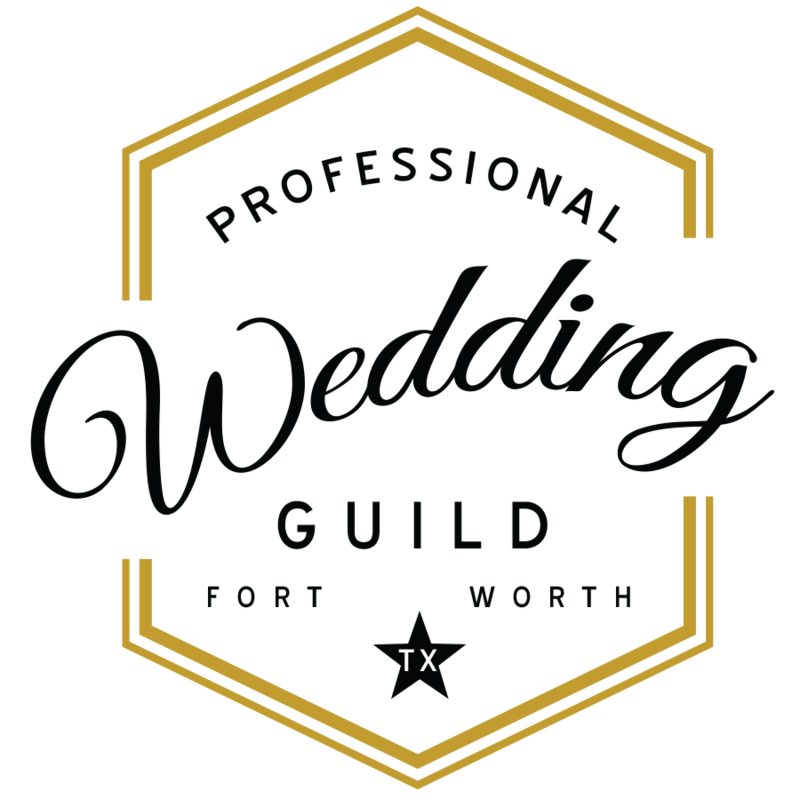 Membership approval in the Professional Wedding Guild of Fort Worth requires a vote of the elected Board Members and is expedited as quickly as possible. If you have any questions about your membership status, please email membership @ fortworthbride.net. Allows one person to join PWG. Cost: $150 First Year, $100 Annual renewal. Allows three people to join PWG. Cost: $225 First Year, $175 Annual renewal. • Do whatever necessary to make sure that the event is a success. • Have a personal sense of obligation to each individual client. • Treat each client fairly and honestly, providing all contracted services in a timely manner. • Promote good will between the client and the wedding & event industry. • Promote good will between fellow members. • Hire and train the most professional staff. • Use honest and factual advertising. • Establish reasonable, proper fees for services and provide written estimates to each client. • Operate a business that is a credit to the organization and the community.